The Pharmacology and Toxicology Department at BioMarin is seeking a Scientist (Scientist 2 to Senior Scientist 2 depending on experience) to provide toxicology and pharmacology expertise for the development of BioMarin’s novel drug candidates. This individual will provide scientific leadership and play a pivotal role in support of all phases of drug development from discovery through clinical trials, market application and commercialization. 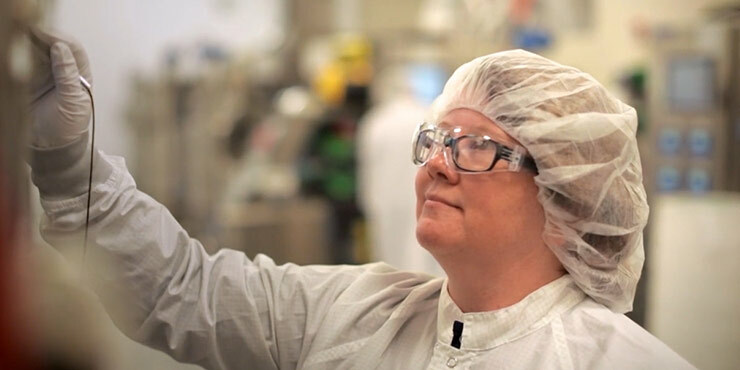 Each BioMarin scientist has the opportunity and is expected to actively contribute to the discovery and development of life-transforming drugs. The successful candidate will be responsible for designing and overseeing the execution of non-clinical studies that evaluate the safety and/or efficacy of drug candidates, including pivotal studies to enable first-in-human clinical trials. This individual will work collaboratively with internal and external cross-functional teams, and consultants to support the successful and timely advancement of drug-development programs. Additional responsibilities include presenting data and be an active member on cross-functional project teams and/or lead project sub-teams. A strong toxicology and pharmacology background as well as an understanding of mechanisms of disease will be required to provide broad-based support for the company’s opportunistic philosophy of drug development. Key to the role, is the ability to analyze and interpret complex data to help elucidate the toxicological and pharmacological profile of drug candidates. S/he will need to communicate data, findings and interpretations both in oral and written form. The candidate will deliver a balanced assessment of the risk/benefit profile associated with a drug candidate, bridging across studies and animal species. Design and implement a nonclinical and clinical toxicology strategy to support drug development at all stages. Analyze and interpret nonclinical data to support the progression of gene, cell or enzyme replacement therapies. Author and/or review study protocols, study reports and regulatory submission documents. Interact and collaborate with various BioMarin functions, CROs, universities, analytical laboratories, business partners, as necessary to ensure appropriate/timely progression of BioMarin projects. Participate in multi-disciplinary drug-development teams. Required: Doctorate (Ph.D.) in pharmacology, toxicology or a related relevant field. Toxicology/pharmacology background with 4-7 years of experience working in biopharmaceutical industry. Experience supporting rare disease indications is desirable. Experience working with biologics, small molecules and/or gene therapy. Designing and implementing the non-clinical strategy for drug-development programs, and interpreting GLP and non-GLP nonclinical pharmacology and toxicology studies. Expertise in in vivo and in vitro pharmacology and/or experience with animal models of disease. Understanding drug development and regulatory processes, as well as Good Laboratory Practices (GLPs). Strong data analysis and data interpretation skills. Strong statistical analysis and bioinformatics capabilities. Strong critical, scientific, and strategic thinking skills. Strong problem solving and decision making abilities. Ability to meet aggressive time-lines. Ability to build/foster productive cross-functional collaborations both within and outside BioMarin.